As Apple vice president Craig Federighi declared OS X Mavericks would be a free upgrade, an image of a boxed copy of Windows 8 Pro flashed on the screen behind him, next to a $199 price tag. "Today we're going to revolutionize pricing," Federighi said. Hold on there a second, Craig. While the low, low cost of $0 for Mavericks is certainly a welcome change from the (entirely reasonable) cost of past OS X upgrades, it's not quite as revolutionary as Apple claims. Mobile operating systems have been free for years, and long before Apple's Tuesday announcement, Microsoft made Windows 8.1 a free upgrade for Windows 8 users. But there's more to Apple’s strategy than price alone: Mavericks could very well offer a glimpse into the future of Windows, now that Microsoft has reimagined itself as a device and services company. The OS X Mavericks logo. OS X Mavericks is merely evolutionary if you consider its subtle changes and tweaks compared to OS X Mountain Lion, the last version of Apple's operating system. What's revolutionary is Apple's letting everyone from 2009's OS X Snow Leopard on up make the upgrade without any financial burden whatsoever. The move to free isn't only awesome, it makes a lot of sense. Apple's focus is on selling hardware and acting as a gatekeeper to its software stores. Its operating systems are there to usher customers into Apple's ecosystem. iTunes was estimated to account for more than $4 billion in revenue last quarter alone. With that in mind, most Mac users who would pay to upgrade to OS X Lion and Mountain Lion have already done so by this point. Shifting to a free upgrade ensures that stragglers who wouldn't have paid for OS X Mavericks anyway will be up-to-date software-wise. That lets developers create apps targeting Mavericks' capabilities, rather than limiting features for the sake of backward compatibility. Meanwhile, the allure of free OS upgrades makes Mac hardware more appealing to shoppers. Consumers now know that an investment in Apple hardware is an investment in future software upgrades at no cost. Hey! Didn't Microsoft recently refocus itself as a device and services company? It did indeed. As an Apple-esque device and services company, Microsoft has more incentive to give away OS upgrades gratis and use them as a carrot, rather than a stick. (You know, like it did just last week with Windows 8.1's release.) Rather than concentrating on OS sales alone, Ballmer and co. want you to buy Windows Store apps, or subscriptions to SkyDrive and Xbox Live and Xbox Music Pass and Office 365, then use those various services across a wide range of Microsoft devices… or devices made by Microsoft partners. That part about partners is important. Apple's being a bit disingenuous by implying that OS X Mavericks is completely free. You still need to buy a Mac in order to qualify for those free upgrades, and the true cost of OS X development is still rolled into the cost of Apple's hardware. ("Apple tax," anyone?) It's just obscured because you're buying the complete package, rather than stand-alone software. The same is true when you're buying a Windows desktop or laptop. The vast majority of Windows computers are sold to consumers as premade, preloaded PCs from manufacturers (sometimes called OEMs) like Lenovo or Dell. Those manufacturers buy Windows licenses en masse and—along with volume corporate customers—account for the majority of Microsoft's Windows revenue. The only Average Joes who need to actually buy Windows are end buyers, like DIYers with cobbled-together computers, or people actively seeking to upgrade from an older operating system release. Consider it a component cost: You're buying separately an item that's usually rolled into the cost of a computer. 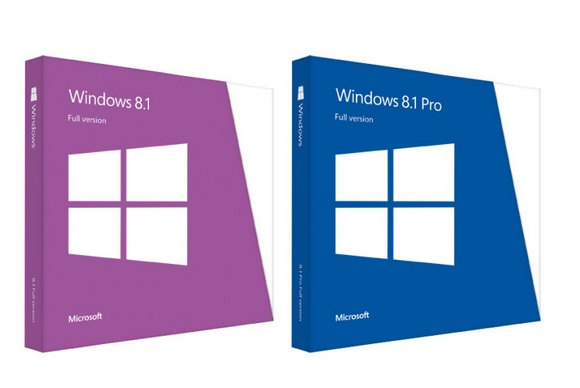 But if Microsoft stands to gain as much as Apple by giving away free operating system upgrades to consumers, why is Windows 8.1 available only to Windows 8 adoptees? A Macworld coworker of mine likened OS X Mavericks as the equivalent of Microsoft allowing all Windows users from XP on up to upgrade for free. Apple's giving only users of OS X Snow Leopard and above the free upgrade to OS X Mavericks. Sure, that's three OS generations back—just as Windows XP is to Windows 8—but Snow Leopard was released in 2009, the same year as Windows 7. Windows XP launched in 2001. Windows 8 could be the Snow Leopard-esque line in the sand for Microsoft. The hardware world has changed drastically over the past decade and a half, and given Microsoft's hands-off history with the nuts and bolts of PCs, handing Windows 8.1 to all Windows users is simply unrealistic from a compatibility standpoint. Apple, on the other hand, controls Mac hardware with an iron fist, and the high-end hardware it dabbles in ensures 2009-era components still function just fine today. OS X Snow Leopard was also a key cut-off point for Apple: That release removed support for Macs running on older PowerPC processors. Microsoft's striving to bring its services and software to all of the company's far-flung devices, not just desktops. Windows 8 could be the Snow Leopard-esque line in the sand for Microsoft. While the hardware requirements for the OS are largely the same as those for Windows 7 and Vista, Windows 8 demands little extras, such as CPU support for physical address extensions, NX bit, and streaming SIMD extensions 2, and DirectX 9-compatible graphics—things that ensure Windows 8 plays nice with Windows RT, Windows Phone, and Xbox in the cross-platform, Live Tiled "One Microsoft" of the future. With that in mind, note the free status of the Windows 8.1 update. If your hardware is compatible with One Microsoft's vision, you've already received a taste of the free upgrade gravy train. You get a free OS! And you get a free OS! And you get a free OS! EVERYONE GETS A FREE OS! Shifting to free OS updates for consumer users of Windows 8 just plain makes sense for Microsoft, if you consider the company's newfound religion as a device and services company, and how few everyday users pay to upgrade Windows anyhow. I'd be shocked if Microsoft didn't follow down the path blazed by, well, Microsoft, yet claimed by Apple. Thanks to the mobile era, free desktop OS upgrades could be a very real part of the desktop's future as software gives way to services. Fingers crossed!